This workshop is sponsored by Michael J. Champlin. Are you serving a small congregation? Does your choir have inconsistent attendance? Are you frustrated with trying to find accessible repertoire possessing inspiring texts and melodies that are durable and memorable? Do you struggle with a small choir during the summer months? If any of these questions resonate, you will find solutions at this workshop. Andrew will share a packet of resources and repertoire, discuss tips for locating repertoire that will stand the test of time, and offer strategies for adapting anthems to make them work in a variety of situations. Attendees will participate in singing through some of the anthems. A native of Methuen, Massachusetts, Andrew Scanlon, has been a member of the keyboard faculty at East Carolina University since 2009, where he directs the graduate and undergraduate programs in organ and sacred music. In addition, he is the organist & choirmaster at St. Paul’s Episcopal Church in Greenville, NC and artistic director of East Carolina Musical Arts Education Foundation. From 2005—2009 Andrew served as organ faculty at Duquesne University, and previously held positions at Christ & St. Stephen’s Episcopal Church (New York), St. Paul’s Episcopal Cathedral (Buffalo), First Presbyterian Church (Pittsburgh) and Marquand Chapel at Yale Divinity School. 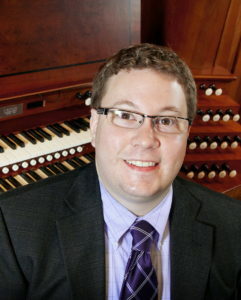 A frequent performer at the organ, Scanlon has performed at national conventions of the American Guild of Organists (AGO) and the Organ Historical Society. He has given recitals throughout North America and Europe, performing in some of the world’s most significant religious venues such as The Cathedral Church of St. John the Divine, St. Patrick’s Cathedral, and St. Thomas Church Fifth Avenue, (New York), Notre-Dame Cathedral, The American Cathedral and La Trinité Church (Paris) and other venues in England, Italy, Germany, Canada and Croatia. Actively involved in the AGO, Andrew Scanlon holds the Fellowship diploma (FAGO), has been a faculty member for three Pipe Organ Encounters, and serves on both the National Board of Examiners and the Committee on Professional Certification. He is a graduate of Duquesne University and both the Institute of Sacred Music and School of Music at Yale University. His most recent CD recording, Solemn and Celebratory, featuring the Fisk organ at St. Paul’s in Greenville, was released in 2013. The Organists’ Review (UK, June 2014) called Scanlon’s playing on this recording “stately,” “well measured,” and “exemplary”; and The Diapason (Feb. 2015) describes it as “beautifully realized,” stating that “both performer and organ seem to excel in [the] French Romantic repertoire.” Andrew’s principal teachers have been John Skelton, Ann Labounsky, David Craighead, John Walker, and Thomas Murray. This workshop is sponsored by Cheryl Van Ornam. The famous organist of St. Sulpice in Paris, Marcel Dupré (1886-1971), was renowned for his magnificent and virtuosic concert pieces. He was a prolific composer with 39 published opera for solo organ and several unpublished works, most of which range from moderately to extremely difficult and which are often described as “awesome” and “breathtaking.” But Dupré also taught less accomplished organists, composed for them, published a number of pedagogical works, and edited the organ works of nine composers. In this workshop, you will see and hear score excerpts of many of Dupré’s “approachable” pieces—music you can readily play. Your handout will include the presented works and additional practical compositions plus print and audio sources for your further exploration. Ardyth Lohuis recorded and performed nationally with violinist Robert Murray as the highly regarded Murray/Lohuis Duo whose compact discs on the Raven label include premier recordings of compositions from Eastern and Western Europe, the Americas, and works composed for the Duo. She has been a church musician in the Midwest and Mid-Atlantic states, sang with the semi-professional Whikehart Chorale, and was organist for the Richmond Symphony Orchestra. Dr. Lohuis has presented workshops in many aspects of organ and church music, taught in several AGO POE and POE Plus sessions, adjudicated music competitions and worked with Wayne Leupold in developing the Discover the Organ curriculum for children and youth. 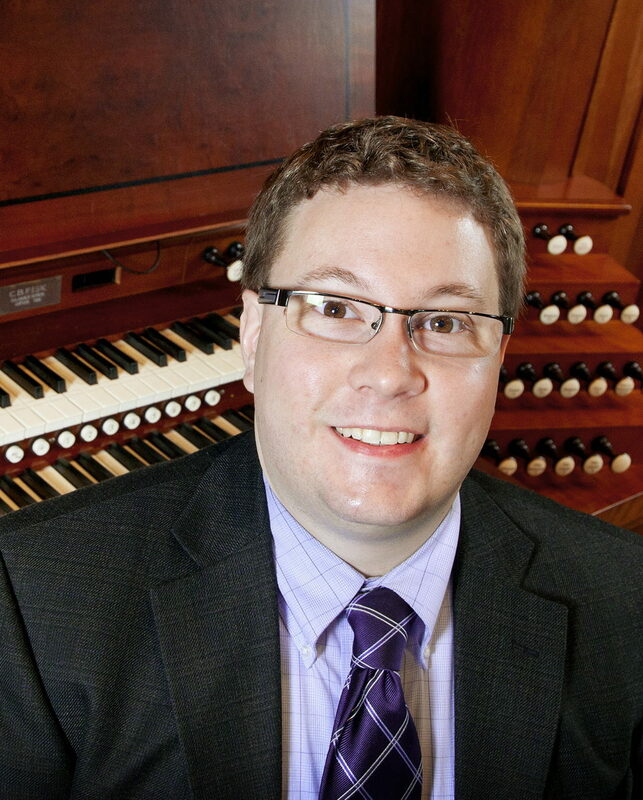 Dr. Lohuis has held state, regional, and national positions in the American Guild of Organists including terms as Dean of two different AGO chapters, Virginia State Chairman, and general chairman of a Region III convention. A past-President of the Southeastern Historical Keyboard Society (now Historical Keyboard Society of North America), she also and had responsibilities with the Virginia Music Teacher’s National Association and the College Music Society. She was assistant chairman of the Virginia Commonwealth University Department of Music for a decade before returning to full-time teaching. Her church music and organ degrees are from Illinois Wesleyan University (B.Sac.Mus. ), Northwestern University (M.M. ), the University of Cincinnati (D.M.A. ), and she received an NEH grant for study in baroque music editing. 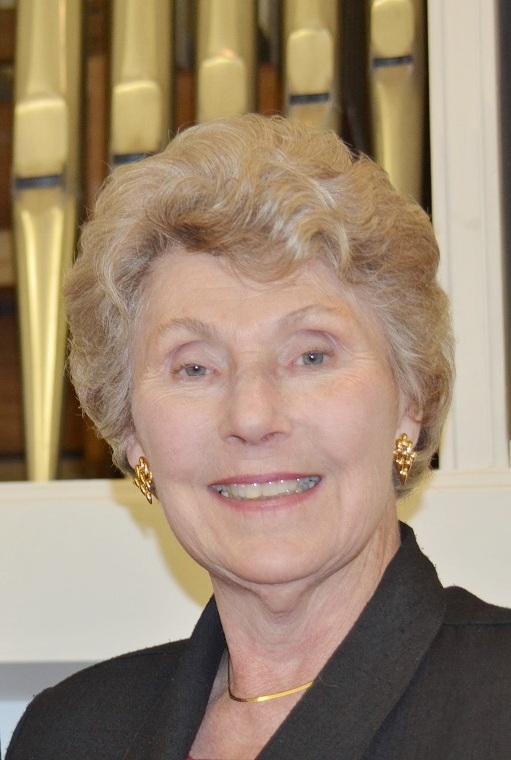 Dr. Lohuis is a VCU Professor Emerita and a “musical grand-daughter” of Marcel Dupré.